Jason Spezza gets top billing for this edition of Playoff Performer of the Night, after helping lead Dallas to a 4-0 blanking of Minnesota in Game 1 of their Western Conference series. The veteran forward was stellar in his Stars post-season debut, scoring a beautiful goal in the second period and then assisting on Patrick Eaves’ power-play marker in the third. STAT PACK: Spezza had six shots, blocked one, spent 7:51 minutes on the power-play and went 13 for 21 in the faceoff circle. THE REVIEWS ARE IN: “The Spezza play was a special one,” praised Dallas coach Lindy Ruff, in reference to the sweet top-shelf snipe. SMASHING SUCCESS: Spezza was on hand – along with several other Players and celebrities – at the most recent edition of Dominic Moore’s NHLPA Smashfest charity event in Toronto. Fellow Dallas forward Antoine Roussel was on his team for the popular ping-pong fundraiser. 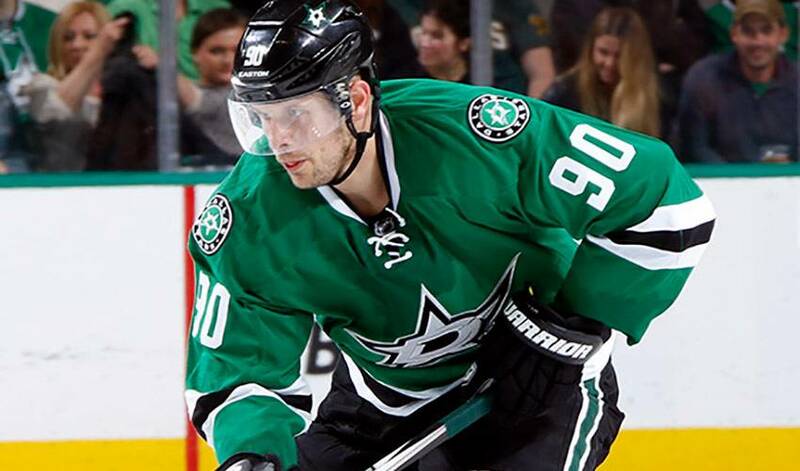 “I can’t take out my teammate Jason Spezza tonight, so that’s a huge weight on my shoulders,” said Roussel. NEED TO KNOW: The Ontario native was as good as gold at the 2015 World Championships, winning a gold medal with Canada, being named to the tournament all-star team and leading all scorers with points 14 in 10 games. HONOURABLE MENTIONS: Kari Lehtonen turned aside all 22 shots he faced. Washington backstopper Braden Holtby stopped 19 of 19 shots in the Capitals 2-0 triumph over Philadelphia, and Joe Pavelski had two tallies in San Jose’s 4-3 curtain-opening win against Los Angeles.